“I’m the operator with my pocket calculator…” — and now you’re the engineer/builder, too. It’s simple stuff, but really cool. You can load samples onto an SD card reader, and then trigger them with touch sensors, with visible feedback on the display. All of that is possible thanks to the Arduino MEGA doing the heavy lifting. The idea is to build a Drum Machine using Arduino that would simulate drum sounds in the 9 keys available in the panel. The Drum machine will also have a display where the user can see the sample name that is being played each time, and a set of menu buttons to go through the list of samples available. The Drum Machine will also use an SD Card Reader to make it possible for the user to store the audio samples, and have more playfulness with the equipment. Check out the whole project – and perhaps build (or modify) this project yourself! 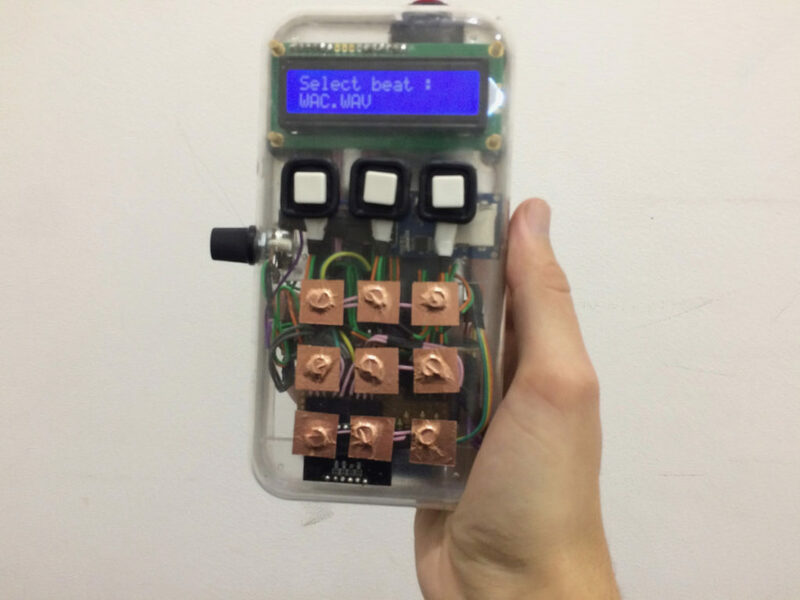 Got a drum machine DIY of your own? Let us know!